A nearly sold out crowd of 230 racers lined up on April 18th for the 6th annual 6 hours in Frog Hollow, held just outside of Hurricane, Utah. An early season race held on the fast and furiously fun trails of the Hurricane Cliff system, this event attracts a wide variety of racers itching to play in the sunshine on dry dirt. Racers hailed from across the west, and as far away as Canada and New Jersey, with a variety of racing background. The field saw racers as young as 12 and as old as 68, with 20% stating it was their very first race and another 20% coming from a professional racing background. The race field also saw a greater than average turn out in female categories. This year the female and male open categories we stacked. With 30 males and 17 females vying for the top position was not an easy task. Cary Smith (Wyoming), who has competed in this race several times and is the 2015 male champ, took his place upfront beginning with the LeMans run. By the end of the first lap he had only a 10 second lead on second place finisher Sam Sweetser. However, he threw down his fastest lap of the day during his second time around, with a 49:43 min lap, giving him 02:20 lead. By the ends Sweetser’s laps slowed while Smith’s laps remained more consistent, giving Smith the win with 6 laps in 5:21:41, a comfortable 15 minutes ahead of Sweeter. Although Smith’s fast lap was impressive, the over-all fastest lap of the day went to Chris Holley, who won the Co-ed Duo team with his wife KC Holley, at 48:01. For Jari Kirkland (Colorado) the female racing champ, this was her first time racing in the Hurricane/St. George area, and she said she had no idea what to expect. She rolled in late Friday night and did not have a chance to pre-ride the course. Despite her lack of insight, she held her own in the first lap, and like Smith, had her best lap at round 2, with a 57:18 min time around and stayed consistent for the win. Her final time was 5 laps in 5:08:33. Hearts hung a little heavy over the singlespeed race as many were racing to remember singlespeed legend AJ Linnel after a plane crash took his life earlier in the week. AJ was scheduled to compete in this year’s event, and likely would have found his spot at the top of the podium. 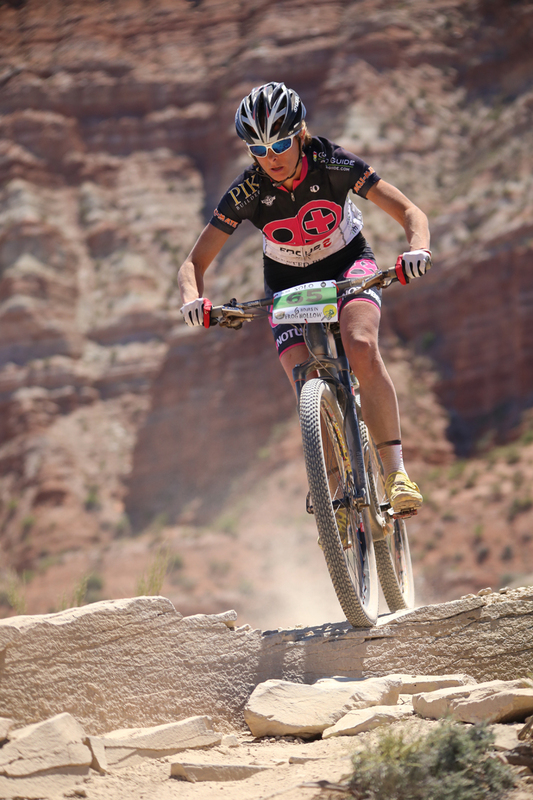 AJ was a constant presence at many single speed races in the West, having taken the top spot in 2014 at the 6 hours in Frog Hollow and a second place single speed win at the 2015 True Grit Epic 100 NUE. AJ was remembered with a moment of silence at the starting line, and by the signs that adorned the racers on the podium, who dedicated their win to him this year. 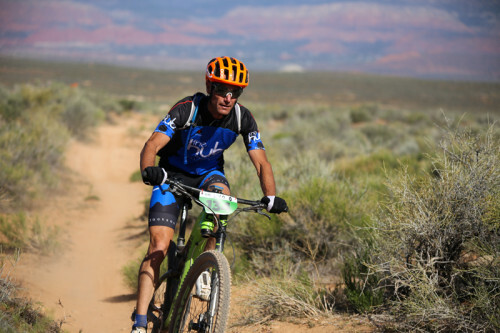 Overall the 6 Hours in Frog Hollow had a super fun atmosphere, with many racers dressing in costume, and enjoying the great course and sunshine on a practically perfect day in Southern Utah.